Want a little more than a regular chest as a gift box? The solution exists and it is in front of you. The Xmas Decorations addon adds more than 10 new Christmas items that can be used to prepare and celebrate Christmas. There is a Christmas tree, gifts, almost endless candy and stockings of course. 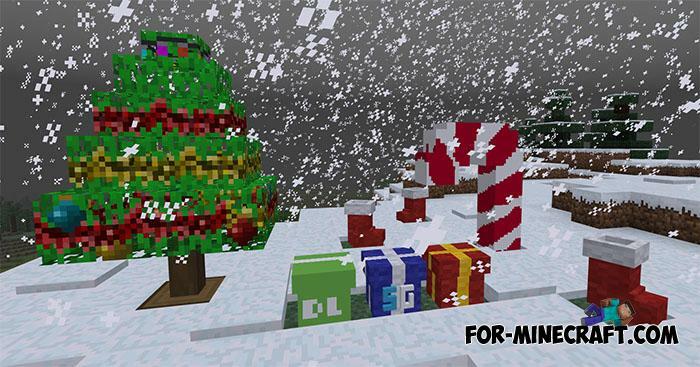 This is the second Christmas addon introducing thematic items. 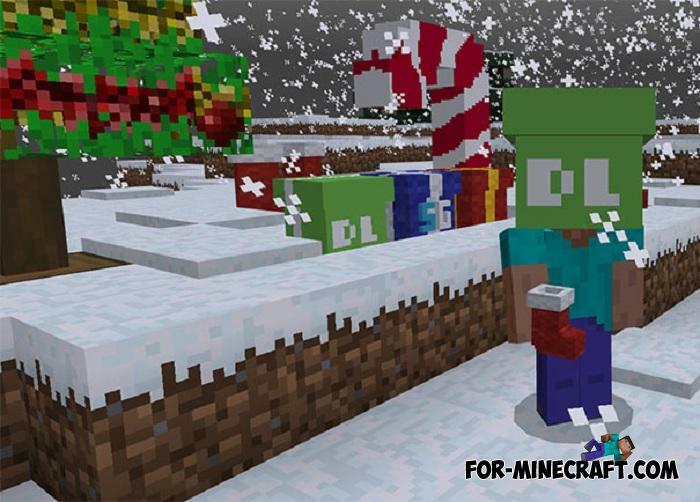 The first is the New Christmas Addon and is also compatible with the latest beta version of Minecraft PE 1.9.0.3 at the moment. Install both addon and select the one you like. How to install the Xmas Decorations addon?